A+ Ventilation Supplies is a solutions driven company working in the Ventilation sector. We work very closely with our clients to establish their needs in an efficient manner. We have a partnership channel to ensure that any ventilation solution offered can be supplied, installed and commissioned as designed. We design, supply and install the best performing and energy efficient ventilation systems for the domestic and commercial market. We specialize in Mechanical Heat Recovery Ventilation, Demand Control Ventilation, Central Extract and Positive Input Ventilation. We can offer Supply only systems. Or Supply & Commission installs. We represent several European Ventilation manufacturers throughout Ireland and the Uk where we have the sole distribution rights to sell their products. 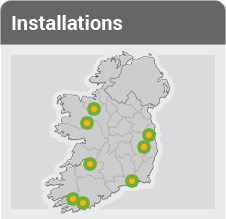 We have an installer network built up throughout Ireland and the UK. How can you have an airtight, energy efficient home that's also healthy and well-ventilated? Heat recovery ventilation (HRV) systems or Demand Controlled Ventilation (DCV) offer solutions, bringing fresh air into your home without letting the heat escape. A+ Ventilation Supplies will Design, Supply & Install & Commission Heat Recovery or Demand Controlled Ventilation systems to New Build and Renovation projects. 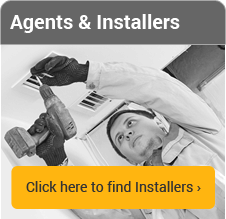 We fully guarantee our installations. We work closely with Architects and Builders to give the customer the best options for each project. Our systems are designed with Irish Climatic conditions in mind. We are the sole Irish / UK distributor for Vents Fans. 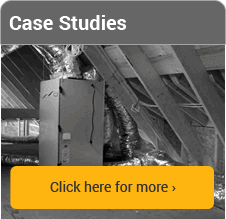 How does Heat Recovery & Ventilation Benefit you? Constantly locked windows is good security measure. Modern homes are usually built to far higher technical standards than buildings constructed a few decades ago and are much more energy efficient, largely thanks to better heat insulation. One key area of improvement has been to make buildings more airtight so they hold onto the heat we put into them for longer. But there's a drawback: our homes need regular changes of air to keep them healthy. Baths and showers, doing the dishes, clothes washing machines, drying clothes indoors, and even simple breathing produce astonishing amounts of water inside our homes:, a typical family could produce 10–15 litres of moisture each day! Let that problem go unchecked and you'll get problems like mould and mildew, dust mites and a greater risk of asthma. Opening doors and windows is the obvious way to get rid of moisture and bring in fresh air, but if you do that in winter you might just as well flush your money down the toilet: all the heat you've expensively introduced into your home will blow away in the breeze. An old drafty house solves this problem by being automatically well ventilated, but it's probably also freezing cold because it's useless at holding onto heat; a modern energy-efficient home solves the draft problem but may be stuffy and under-ventilated. Our experience and expertise in the industry means we can install our range of technologically-advanced systems into any property, old or new. We work with architects, builders, self-builders, renovators, construction companies, building service contractors and the general public.